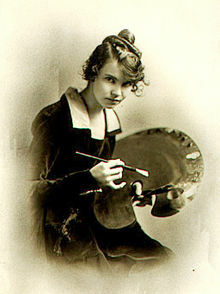 Wanda Gag was an American author and illustrator. She is perhaps best known for her book “Millions of Cats”. Born in New Ulm, she studied art in both St. Paul and Minneapolis before moving to Greenwich Village and training with the Students Arts League. The Minnesota History Players will present an interactive program for children and families this Saturday at the Northfield Carnegie Library. Friday, March 14th: The Chairs, 7:30 p.m., Haugen Theater on the St. Olaf College campus; Jack Klatt, 8:00 p.m., Tavern Lounge; Burning Chrome, 8:00 p.m. to 12:00 a.m., Contented Cow; and St. Olaf Handbells, 8:15 p.m., Urness Recital Hall on the St. Olaf College campus. Saturday, March 15th: History Live – Wanda Gag, 11:00 a.m. to 12:00 p.m., Northfield Public Library; The Chairs, 2:00 and 7:30 p.m., Haugen Theater on the St. Olaf College campus; Optimum Trajectory, 5:00 p.m., Contented Cow; Frank Randall & Jim Johnson of the Sycamores, 8:00 p.m., Tavern Lounge; 8th Street Band CD Release Party, 8:00 p.m. to 12:00 a.m., Grand Event Center; and Tasty Tones, 8:00 to 10:00 p.m., Contented Cow. Sunday, March 16th: The Chairs, 2:00 and 7:30 p.m., Haugen Theater on the St. Olaf College campus; St. Olaf Orchestra, 3:30 p.m., Boe Chapel on the St. Olaf College campus; and Quiz Night, 8:00 p.m., Contented Cow.